The people we support may have mental ill-health, behaviours that challenge, or a history of offending, as well as a learning disability. We feel these complex needs should not be a barrier to people leading the life they want, with the same rights and choices as everyone else. We offer the same person-centred approach to everyone we support, matching people with staff who have expertise in supporting their extra health needs or behaviours that challenge. In providing this support, we draw on the advice of our in-house clinical team. Supporting people with behaviours that challenge – we understand that a person can behave in a challenging way because they are frustrated and unable to communicate their needs and wishes to others. Once we start to understand this behaviour, we can tailor support to meet the individual’s needs and increase their quality of life. As a result, behaviours that challenge can reduce substantially, in both frequency and intensity. Supporting people with mental health problems, including those who self-harm. Supporting people who have been involved with the criminal justice system. Transition services – short-term accommodation placements that can provide stability for people in between long-term support solutions. This can include step-through accommodation, personal assessment and skills development. Our specialist support division oversees our support for people with the most complex needs, including people (like Ruth) who have moved into their own homes as part of the Transforming Care programme. We can also provide support with housing. Our in-house clinical team (a Clinical Psychologist, Positive Behaviour Support Lead and Autism Lead) provides expertise, advice and support to people we support and their staff teams. 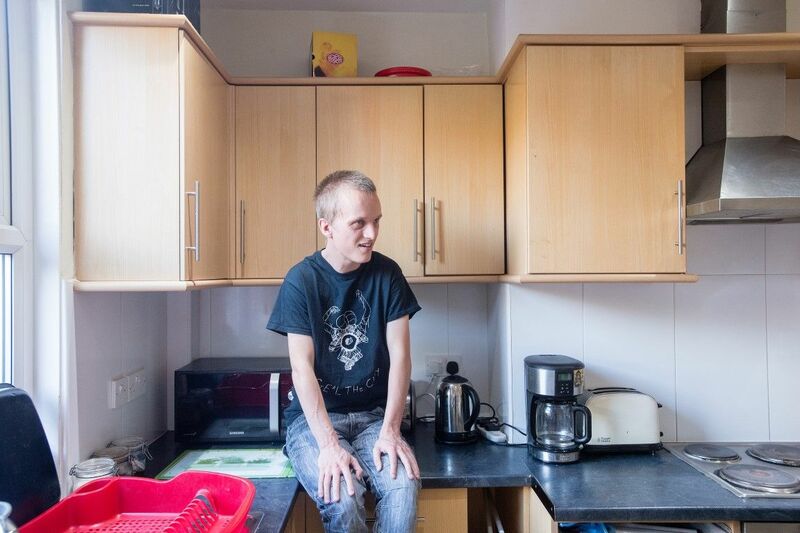 This division enables us to further develop the skills of our support staff, so we can provide the best support to those who find it hardest to live in community settings, giving them the opportunity to have a great life and achieve their dreams. Lorraine has worked with people with learning disabilities for over 35 years, starting her career as a learning disability nurse in a long-stay hospital, which still provides her motivation to give everyone the opportunity to live in their own home and have a great life, no matter how complex their support needs to be. She worked in a range of operational roles in health, local authority and voluntary organisations before joining Affinity Trust in 2008. Since then Lorraine has undertaken both senior operational and development roles. The role of Director of Specialist Support with Affinity Trust brings together management of the existing specialist support within the organisation and the development of new packages of support in partnership with local authorities and Clinical Commissioning Groups. Find out how our specialist support services could help you or someone you know. We can help people referred to us for support with housing. The housing options available will depend on where a person lives. Intensive interaction is a way of engaging with people with learning disabilities who mainly use non-verbal communication, or who find communicating and social interaction difficult.